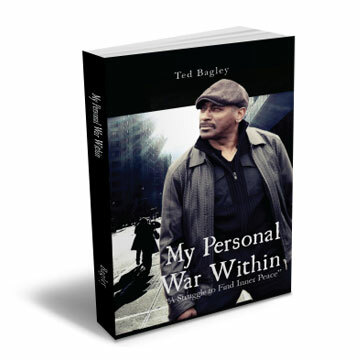 My Personal War Within takes readers to Birmingham, Alabama, during the 50s and 60s and the turbulent days of the Jim Crow Laws, the Ku Klux Klan, and the John Birch Society. These were difficult times for those growing up black in a country struggling to give identity to a race that played such an important part of its infrastructural growth. Ted Bagely carries the readers on a ride through his life from the sometimes racist streets of southern cities like Birmingham to corporate America where he is today. He very skillfully shows how family values, relationships, the military, and education were the tool kits to his success.